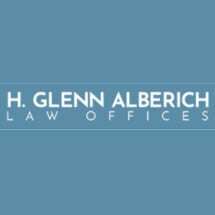 MoreHaving served as a partner in several large international and regional law firms, Glenn Alberich founded H. Glenn Alberich Law Offices in 2007 to provide a diverse legal practice involving transactional and litigation work on behalf of clients ranging from large, publicly-traded corporations to start-up entities in New England and throughout the United States. The firm is pleased to be AV®...Having served as a partner in several large international and regional law firms, Glenn Alberich founded H. Glenn Alberich Law Offices in 2007 to provide a diverse legal practice involving transactional and litigation work on behalf of clients ranging from large, publicly-traded corporations to start-up entities in New England and throughout the United States. The firm is pleased to be AV® PreeminentTM Peer Review Rated by Martindale-Hubbell®, the highest rating available for professional service and legal ethics.